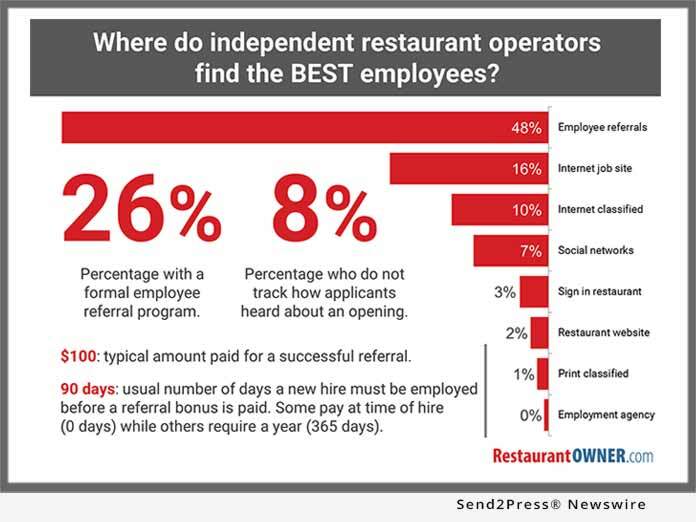 PHOENIX, Ariz. /Mortgage and Finance News/ — RestaurantOwner (RestaurantOwner.com) today released the results of their 2017 Independent Restaurant Recruiting Survey. The report summarizes input gathered from over 400 independent restaurant owners and operators regarding their proven recruiting practices. With over 46,000 members since 1998, RestaurantOwner.com’s mission is to change lives by educating and inspiring independent restaurant owner operators to create restaurant success stories. It’s committed to providing practical, proven insights, and resources to enable members to build a better restaurant, a better business, and most importantly, a better life.